And to celebrate we have a great competition for you and 3 copies on DVD to give away. 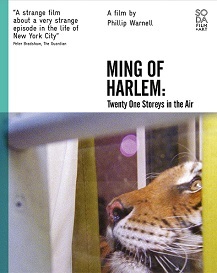 In October 2003, Antoine Yates was arrested for reckless endangerment following the discovery of his cohabitation in a Harlem high-rise with Ming, a five-hundred-pound tiger and Al, a seven-foot alligator. This beautifully crafted, haunting documentary explores the story of Yates and combines this with filmic observation of predators in domesticated geographies. George Carlin "The American Dream"
Ian Wright gets a big shock!